“We can see during 2015 and 2016 the mayor accusing former mayor Mike Rama that the garbage budget the latter appropriated for its disposal was anomalous and, according to Osmeña, this was the source of corruption. Our budget then was P157 million,” Garganera said in Cebuano. This year, the City set aside P590.5 million to college garbage. In 2017, Osmeña spent P405 million using a supplemental budget even though only P231.1 million was allocated for this purpose in the annual budget. In 2018, the budget for garbage collection for the entire year was P459.6 million but this ballooned to P509.6 million using another supplemental budget. Garganera said he secured the details from the City Accounting Office. According to the councilor, the city was generally clean in the latter part of 2015 and in the early part of 2016 even though the budget for garbage collection was relative small compared to what the City has been spending since then. “Are we satisfied and contented with our garbage service, that collecting it has gotten more expensive while our streets have gotten dirtier in the process? Osmeña back then said what we were doing was anomalous. But now, the budget for garbage collection has increased more than three times. This is anomalous three times,” Garganera said in Cebuano. Superbalita Cebu tried to call and text the mayor for his side on the matter, but to no avail. John Paul Gelasque, head of the Department of Public Services (DPS), admitted that the budget for garbage collection had grown but only because the system for its disposal had changed. Osmeña did not follow Rama’s system which the former had described as anomalous and illegal since the direct disposal of the city’s garbage in a private landfill in Consolacion did not go through the City Council, Gelasque said. “It’s true the budget grew and it’s not the issue. It grew because we no longer dump the garbage directly in Polog (Consolacion),” he said in Cebuano. Gelasque also explained that they considered this year’s garbage collection budget as a “one-time, big-time” fund, with a major chunk going to the purchase of 21 garbage compactor trucks. 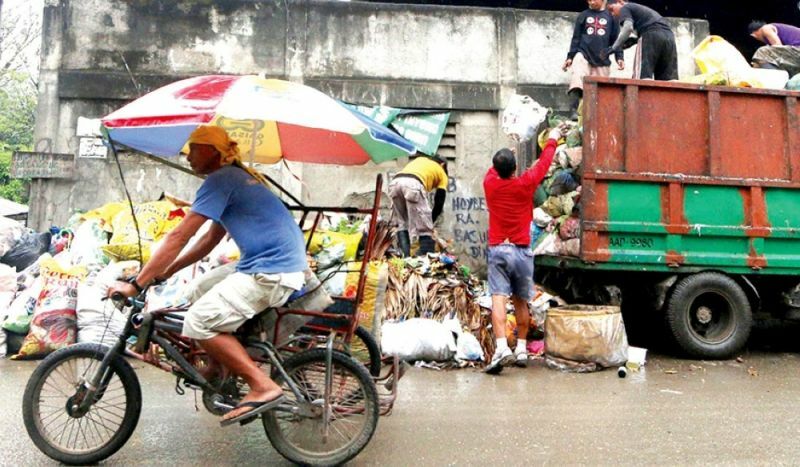 He said the City has hired a private hauler in which it pays the latter P700 per hour to deliver garbage from the barangay to a transfer station before proceeding to the landfill and another P1,300 for every ton of garbage it delivers. He said the city streets are free of garbage between 7 a.m. and 4 p.m.. If there are uncollected garbage, these are found in the interior of barangays. The DPS head it was not up to Garganera to say if the city is clean or not.